If you’re on the hunt for a new FIAT 500 or FIAT 500L, you needn’t look much further. 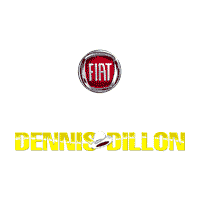 After all, Dennis Dillon FIAT – serving drivers in Twin Falls and Meridian – has 18 FIAT cars available. Not only do we have a vast inventory of new FIATs for sale, but we also offer a rotating selection of new vehicle specials – further upgrading your Ontario, OR drive. Once you’ve decided on the affordable small car you’ve researched online, contact us today to set up a test drive. We’re happy to reduce the cost of your next purchase by buying your old car from you. It’s true: FIAT cars are one of the most affordable small city cars on the streets of Boise these days. But they’re affordable not simply because of a great sticker price and reliability; they get great fuel economy numbers, as well. That’s why Cars Dot Com has argued that the FIAT 500 is one of the most fuel efficient cars out there. In addition, the automotive experts Kelley Blue Book argue that the FIAT 500L offers exceptional fuel economy, too. Of course, you can experience what the critics are saying about FIAT by leasing or financing yours. Contact us today to do so.